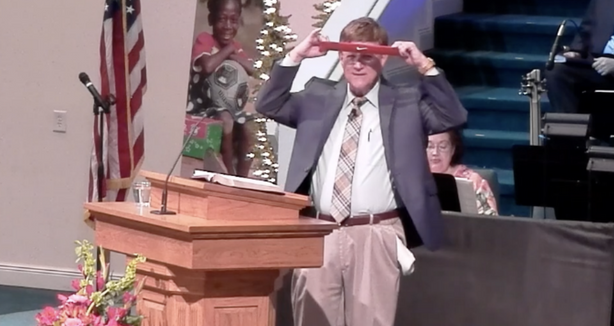 Alabama Pastor Cuts Up Nike Products During Sermon - Joe.My.God. The Rev. Mack Morris took a hold of an old Nike headband and a wristband, held them both up before a packed church, and cut them. “I ain’t using that no more,” said Morris, the senior pastor at Woodridge Baptist Church in west Mobile during his weekly Sunday sermon. “I’ve bought my last pair of Nike shoes,” Morris said. Morris continued, “America may not be the best country in the world and we have a lot of faults, but I tell you what, a lot of folks died for the sake of what the flag represents.” Morris received a standing applause.